The following is an official statement submitted by the Joint Trade Union Movement to the Parliamentary Joint Select Committee on Finance and Legal Affairs. The results of the 9th Actuarial Report(Report) show that the NIS is in serious financial trouble. There are many solutions being discussed but the labour movement is of the firm belief that root causes of the crisis must be identified and specific corrective measures be adopted. 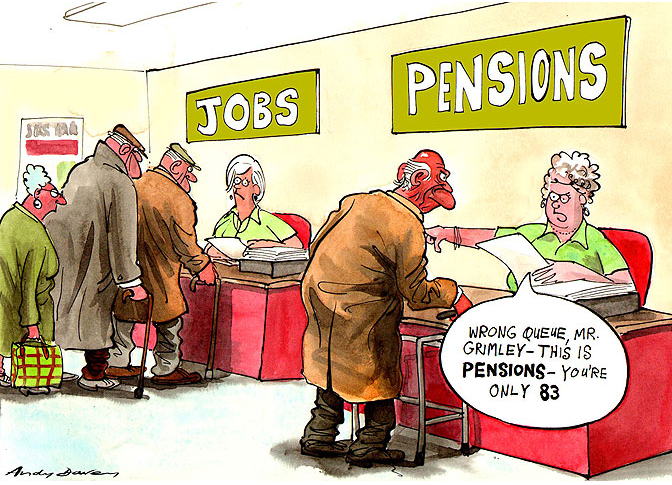 The NIS is a Pay as you go (PAYG) social security scheme. It relies on multiple contributors to each recipient of benefits. Its contribution income must at least equal or better still, exceed its benefits pay out plus administration costs. This has not been so since 2013 and investment income has been used to supplement the shortfall. 1) Declining ratio of contributors to benefits expenditure. This ratio is projected to decline from present 3.7 to 1.1 /1 over the next 50 years. Once the ratio gets into that area, the funding requirements change dramatically from approx. 14% to 36%. Many SEPs employ scores of workers and their employees are members of the NIS. While many of the employers (self-employed) are eligible to collect Old Aged pensions at age 65. Steps must be taken to correct this immediately. Possibly the maintenance of a registry of employment status of all persons above age 20 would be useful national exercise. This should not to be interpreted that persons with disabilities or other hardships are to be forced to pay contributions. Over the years Ministers of Finance would announce increases in the levels of benefits being paid by the NIS. These announcements would later be approved by Parliament and later implemented by the NIB. None of these increases were ever funded by GOTT. We have been informed that this has cost the NIS between 2003-2016 $10.7B and $1.6B in 2016 alone. The 2016 figure is approximately 35% of the NIS annual revenue. 1) Government of Trinidad must immediately fund the NIS annually, all monies representing payments approved by Parliament that are in excess of the insured values. Also urgent arrangements be put in place to liquidate the accumulated liabilities associated with these payments. The Labour Movement is not questioning the inadequacy of the value of the insured benefits however, satisfactory funding requirements should and must be put in place to deal with the consequential misalignment. Funding mechanisms must be clearly identified for future increases. We believe if these two issues are addressed the NIS will not only correct this misalignment in the PAYG system but will be secure to 2060 and beyond. We would like to address the issue of increasing of the retirement age. The issue of increasing the retirement age from 60 years to 65 years has been brought to the fore front as a mechanism to help deal with the imbalance between revenue and expenditure of the NIS. The Labour Movement wants to make it abundantly clear that this issue is not a social security matter but an Industrial Relations issue. The NIB will negotiate with its Recognised Majority Union(RMU) on behalf of its employees only but has no jurisdiction over the rest of the working class. The Retirement Age is placed in Collective Agreements where there is a RMU or the Contract of Employment in non-unionised environment. It is determined via the collective bargaining process between the management and the union or the individual contract between the worker and employer. This being a term and condition of employment has repercussions on many other employment contractual obligations. Normal retirement age was not always 60 years. Up to the 1960’s it would have generally been 65 years in the private sector. This was reduced by RMU at the various workplaces at the behest of their members. The workers’ decision was influenced by many factors e.g. the harsh environment of industry such as heat, dust, chemicals, marine conditions, shift work etc. The consequence of which saw many dying before or soon after retirement and many suffer poor quality of life through-out their retirement. While union struggles have resulted in some improvement in working conditions, many workers have had more than enough by age 60. Indeed, many collective agreements and pension plans allow workers to retire at age 55 without any reduction in benefits. In order for the workers to enjoy these pension benefits today in Defined Benefit Plans, they had to accept lower wage and salary increases and other terms and conditions of employment then. The employers argued then that the reduction in retirement age had severe cost implications. If there is a reversal to age 65 then it means that pension plans will require lower funding rates. Employees rate are fixed via the respective rules of each plan; the employer rates vary based upon the solvency of the plan. The resulting surplus that would accrue will apply automatically to the employers and the workers and their union would have to struggle to have the return of benefits given up years ago. The two per cent reduction in the General Average Premium (GAP) would merely delay the demise of the NIS Fund for a very short period while causing severe disruption in the industrial relations climate in the country. 1) NIBTT be mandated to provide annual statements to its contributing members. 2) Record of the numbers of complaints, those resolved and charges laid against delinquent employers be published annually by the NIBTT.